Nairobi homily: Kenyan society has been blessed with strong family life, deep respect for the wisdom of the elderly, and love for children. The health of a society depends on the health of its families. Let the great values of Africa’s traditions, the wisdom and truth of God’s word, and the generous idealism of your youth guide you to shape a society more just, inclusive, and respectful of human dignity. Be concerned for the needs of the poor, and reject everything that leads to prejudice and discrimination; they're not of God. Stand strong in faith! Don't be afraid; be missionary disciples who radiate the Gospel's truth, beauty and life-changing power. To Kenya leaders: The young are a nation’s most valuable resource. Protect them, invest in them, and offer them a helping hand, to ensure a future worthy of the wisdom and values dear to their elders, values that are a people's heart and soul. The world's environmental crisis demands great sensitivity to the relationship between human beings and nature. Pass on the beauty of nature to future generations, and exercise a just stewardship of the gifts you've received. In a world that exploits rather than protects our common home, inspire efforts to promote responsible models of economic development. Protecting nature and building a just society are linked. Our relationship with nature can't be renewed without renewing humanity. To the extent we experience divisions, we must work for reconciliation, peace, forgiveness, and healing. Strengthening cohesion and integration, tolerance and respect for others, and pursuing the common good must be primary. Violence, conflict, and terrorism feed on fear, mistrust, and despair born of poverty and frustration. The struggle against them must be carried on by people who fearlessly believe in, and witness to, the values that inspired the nation's birth. The advancement of these values is entrusted to you leaders. It's a great responsibility, a calling, in the service of the people. Work with integrity and transparency for the common good, and foster solidarity at every level. Show concern for the poor, the young, and just distribution of natural and human resources. The Catholic community will keep contributing in these areas. May you cultivate a society of solidarity, justice, and peace in Kenya and throughout Africa. God bless Kenya! To Kenya religious leaders: Ecumenical and interreligious dialogue is essential. Religious beliefs and practice condition who we are and how we understand the world; they're a source of enlightenment, wisdom, and solidarity, and so enrich society. By caring for our communities' spiritual growth, by forming people in the truths and values our religious traditions teach, we bless our communities. Cooperation between religious leaders and communities is an important service to the common good. Together we must defend the God-given dignity of individuals and peoples, and their right to live in freedom and happiness. Religions play an essential role in forming consciences, instilling values, and training citizens to infuse society with honesty and integrity, and a world view that values the person. Our common conviction that the God we serve is a God of peace; his name must never be used to justify hatred or violence. 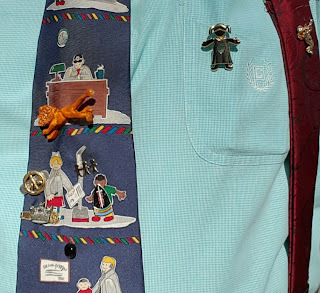 Young people are being radicalized in the name of religion to sow discord and fear. We must be seen as peacemakers who invite others to live in peace, harmony, and mutual respect! May God touch those who engage in violence, and grant peace to our families and communities. I reaffirm the Catholic Church's commitment to ecumenical and interreligious dialogue in the service of understanding and friendship; it's born of our conviction of God’s universal love and offer of salvation. The world expects believers to work together with others of good will in facing the problems affecting humanity. Pray that everyone will see themselves as brothers and sisters, peacefully united in and through our differences. Pray for peace! Sir 50:22-24 Bless God who's done wondrous things and fashions people. May he grant you joy and peace; may his goodness endure and deliver us. Ps 145:2-11 "I will praise your name for ever, Lord." 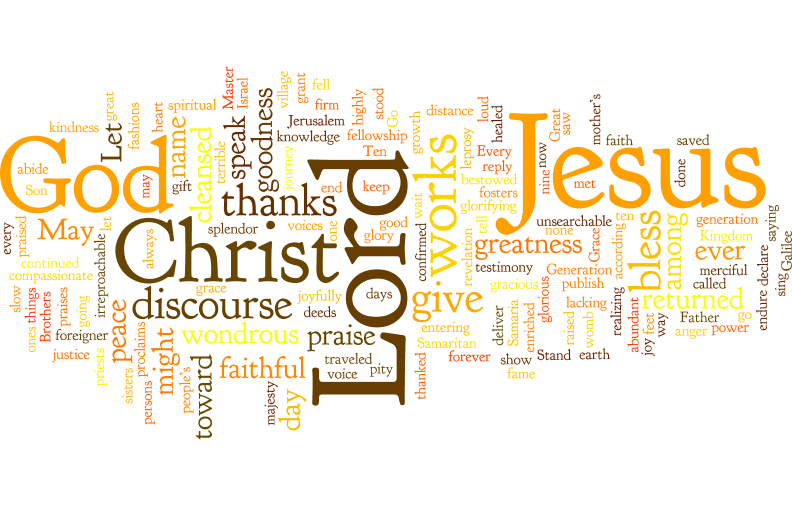 Great are you, Lord; your majesty, wondrous works, goodness, justice, mercy, kindness, and compassion. 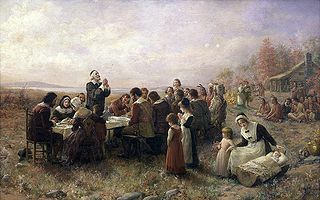 May your faithful bless you, speaking of your kingdom's glory and your might. 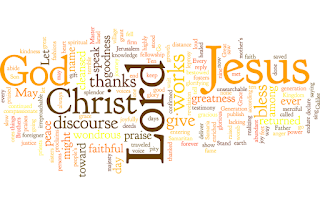 1 Cor 1:3-9 I thank my God for God's grace given to you as you await Christ's revelation. He'll keep you firm to the end. By our faithful God you were called to fellowship with Christ our Lord. 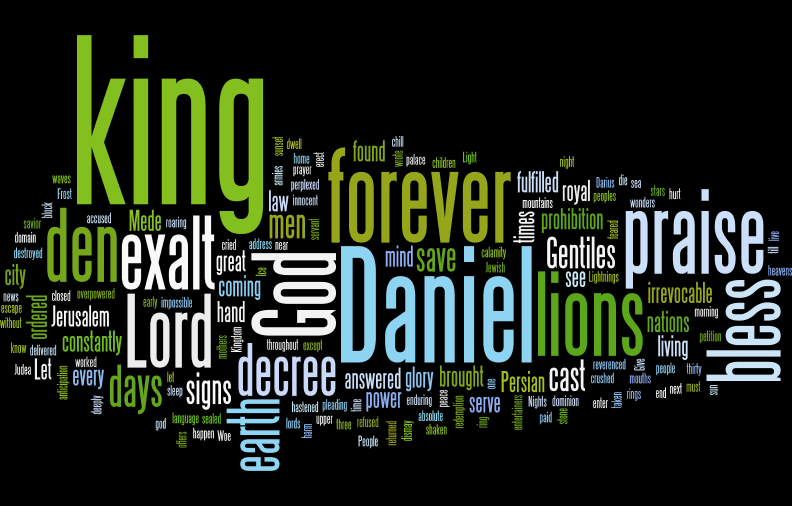 Dn 6:12-28 Men find Daniel praying, tell King Darius who orders him cast into the lions' den. King returns to den, finding Daniel unhurt. Daniel was removed; his accusers were cast into the den and crushed. 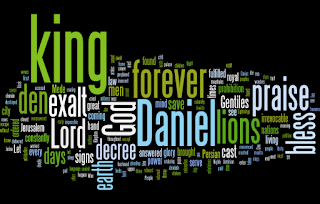 King Darius: Reverence the God of Daniel: he lives forever, saves, works signs, and delivered Daniel from the lions. Dn 3:68-74 "Give glory and eternal praise to him." Dew, rain, frost, chill, ice, snow, nights, days, light, darkness, lightnings, clouds, earth: bless the Lord! Lk 21:20-28 Time of punishment, woe, signs, calamity, and judgment will come. People will fall, be taken captive, and trampled. The Son of Man will come with power and glory. Stand erect; your redemption is at hand. Creighton: End-time passages often lead people to speculate about the when and what of end-time events, but Jesus doesn't want us to focus on that. When the temple was destroyed as he prophesied, people speculated the end was near. Mark assured his fellow Christians “the end was still to come,” although he associated the destruction of with the apocalyptic sign of the “desolating sacrilege” Daniel prophesied. By the time Luke wrote, the destruction of the temple had become the Judeans’ “9/11.” More time had elapsed without the parousia, but Christians still speculated about contemporary events as signs of the end. Luke’s response was to further develop Mark’s point that the end is coming and Christians needed to be alert, ready, and attentive to the mission of the Church: he affirmed the destruction of Jerusalem happened as Jesus prophesied; he relegated it to history by removing Mark's allusion to Daniel’s “desolating sacrilege” and spoke of an extended period, “the times of the gentiles,” that would unfold before Jesus came in glory; he warned of false Messiahs; he developed the theme of “today,” the current period of the Church’s life under the risen Lord, as the necessary focus of Christians. This theme shows up in Luke’s version of Jesus’ prophecy before the Sanhedrin, as compared to Mark’s. Jesus via Mark: “You'll see the Son of Man seated at the right hand of the Power, and coming with the clouds of heaven” (a reference to Daniel 7 applied to the second coming); via Luke: “From now on, the Son of Man will be seated at the right hand of the power of God” (a reference to Jesus' resurrection and the "today" that followed. Pope Francis writes from the same perspective in Laudato Si, when he writes to wake us up to our place in the today of our history. The effects of climate change aren't signs of the end but rather a call to take responsibility for the damage we've done to Earth, a call to change our ways to mitigate those effects and make reasonable adaptations. One Bread, One Body: "Break the law!" Three times a day, Daniel broke the law prohibiting praying to God. There's an unwritten law that you don't pray openly at most jobs. Many married couples have a law that each keep their faith and prayers private. In our "culture of death," it's not politically correct to pray anywhere other than at church and possibly at home. The Lord commanded us to pray always; that implies we pray everywhere, in all circumstances. If there were a law forbidding open communication with someone you love, would you break it? Love Jesus openly, publicly, boldly, deeply, enthusiastically, and totally. Break any laws contrary to the law of love. I was hungry, and you gave me food. For my teachers, who fed me when I hungered for knowledge. For all who work in food pantries or deliver Meals on Wheels.I was thirsty, and you gave me drink. For my parents who thirsted for justice and taught me how to seek truth. For all who serve others in developing countries.I was a stranger, and you welcomed me. For my friends who hugged me when I was shunned. For all who minister to those living under bridges or in parks, and for all who welcome foreigners and refugees.I was naked, and you clothed me. For my family that allows me to be vulnerable and not be ashamed when I weep. For 12-step sponsors and mentors who stand by us as we fall and get back up.I was sick, and you took care of me. For those who have cared for me. For nurses and doctors, especially those who minister to the dying.I was in prison, and you visited me. For my confessors, who visited me in my cell of shame and sin. For those who give hope to prisoners by working for a more just legal system.